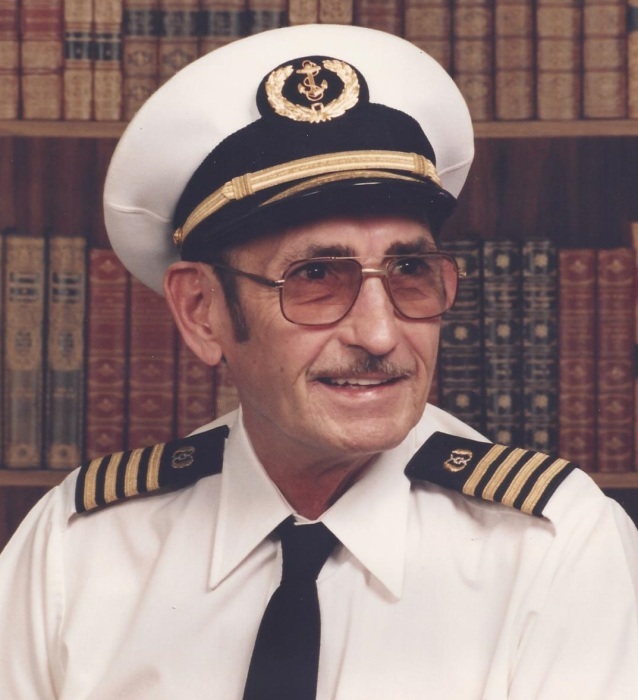 Ernest B. Lindsay, 91, of Keithsburg, Illinois entered into God’s arms on Sunday, February 10, 2019 at home. Visitation is Saturday, February 16th from 12:00 – 2:00 p.m. at the First Christian Church in Keithsburg. A celebration of life will follow visitation, beginning at 2:00 p.m. at the church. Burial will be in Oquawka Cemetery in Oquawka, Illinois. Memorials may be left for the family. Dennison Funeral Home, Aledo is handling arrangements. Ernest Burton Lindsay was born August 16, 1927 in Clinton, Iowa the son of Floyd Lyle and Laura Theresa Stringham Lindsay. On April 3, 1948, he married Norma Jean Oertley in Peoria, Illinois. They were married nearly 53 years, before she passed away on March 19, 2001. Mr. Lindsay worked for Caterpillar, retiring after 36 years. In 1984, he became a Riverboat Captain and was later given the rank of Master Captain in 1991. Over the years he was Captain of the Jubilee I for 18 years then the Chattahoochee Princess for 2 years. Those left to cherish his memory are his son and daughter-in-law: Joe and Edy Lindsay of Maquoketa, Iowa; daughter: Kathy Showalter of Keithsburg, Illinois; 9 grandchildren; 21 great grandchildren; 4 great great grandchildren and siblings: Esther Hartter of Peoria, Illinois, Laura England of Wyoming, Illinois and Elaine Parrett of Peoria, Illinois. He was preceded in death by his parents, wife, son: Mike Lindsay on July 15, 2001 and siblings: Kenny, John, Wanda, Buck and Vernon.